QPI were commissioned to supply and install all ancillary parts for their new Marine Sand and Gravel Process Plant at Denton Wharf, Gravesend. 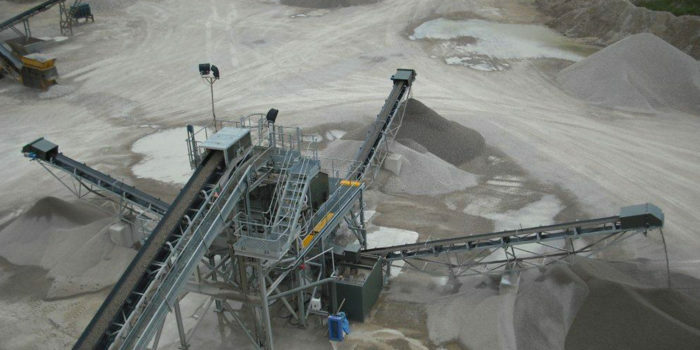 This included the supply and installation of all conveyor belting, idlers, idler frames and conveyor pulleys. The new plant carries a bulk density of 1.6 tonnes per cubic metre at an angle of repose of 37.5° with a maximum feed size of 230mm. 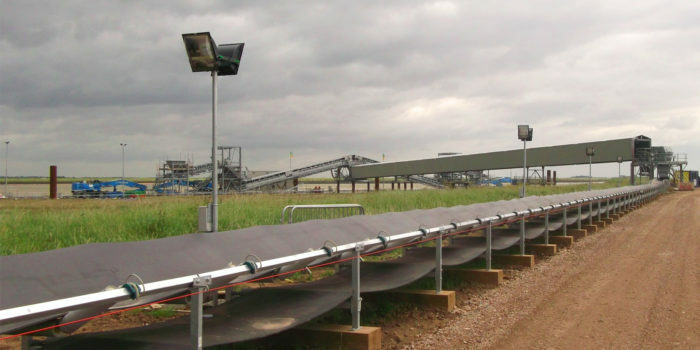 The system is designed to run at a capacity of 400 TPH maximum feed to plant with coarsest feed, reducing as necessary for finer feeds, to limit feed to sand plant to less than 210 TPH. Design service factors were based on 10 hours per day plant operation.